No one explanatory framework could have held together the 2011 Assembly elections in four States and one Union Territory. The issues were different, as were the personalities, in West Bengal and Assam in the east of the country, and Tamil Nadu, Kerala, and the Union Territory of Puducherry in the south. For West Bengal, this was a watershed election, marking the end of the 34-year-rule of the Left Front headed by the Communist Party of India (Marxist). A government led by Trinamool Congress, with the mercurial Mamata Banerjee as Chief Minister, will be of a very different persuasion from the ones headed by Jyoti Basu and Buddhadeb Bhattacharjee. Having drawn on the support of sections and classes with conflicting interests, Ms Banerjee could steer the State in new, even if unpredictable, directions. In Tamil Nadu, the return to power of the All India Anna Dravida Munnetra Kazhagam, with the charismatic Ms Jayalalithaa at the helm, holds long-term import for the socio-economic development and governance of the State. As for Kerala, the 2011 contest will be best remembered for the performance of the loser, not for the victory of the Congress-led United Democratic Front. 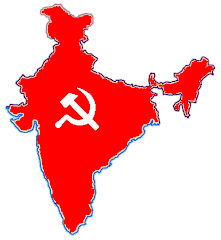 In a State known for bringing about a regime change every five years, the CPI (M)-led Left Democratic Front, riding a late surge created by the campaign of the octogenarian Chief Minister V.S. Achuthanandan, almost nullified the anti-incumbency sentiment to make this the closest election since 1965, when the contest produced a hung Assembly. Assam gave the Congress and Tarun Gogoi a hat-trick of wins, something of a rarity in recent years. In Puducherry, the Congress lost to its breakaway group, the N.R. Congress led by former Congress Chief Minister N. Rangaswamy, which had fought the election in the company of the AIADMK. In Andhra Pradesh, another breakaway group of the Congress, the YSR Congress formed by Y.S. Jaganmohan Reddy, has jolted the ruling party by the enormous margins of its victory in the by-elections to the Kadapa Lok Sabha and Pulivendula Assembly constituencies. The rise of the YSR Congress threatens to destabilise the demoralised Congress regime in South India's largest State, as many YSR loyalists might see political advantage in switching sides early. The overall consequences of the April-May 2011 elections are hard to predict. While the Congress can take some comfort from its victories in Assam, West Bengal, and Kerala, it will have to deal with increased pressures and changing equations within the United Progressive Alliance. While managing relations with a strengthened TMC will be a challenge, its alliance with the DMK is likely to face an existential crisis sooner than later, given the comprehensiveness of the Tamil Nadu rout and the increasing heat of the 2-G corruption cases.